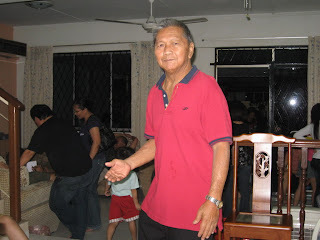 Brother in Law, Tony, celebrated his 64th birthday on 20082008. We had a good dinner and supper there. The birthday cake was superbly delicious. It is always been a great ocassion for family gathering. The kids were having fun with the cards while the adults gathered in front of the TV for the Olympic games. 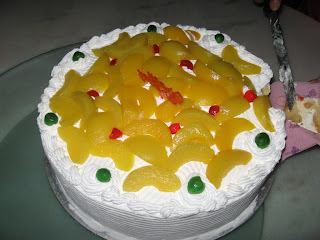 A "Hidden Treasure" birthday cake specially made by SIL, Grace, for her hubby. 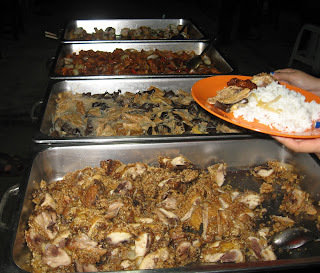 Some of the dishes served for the night.